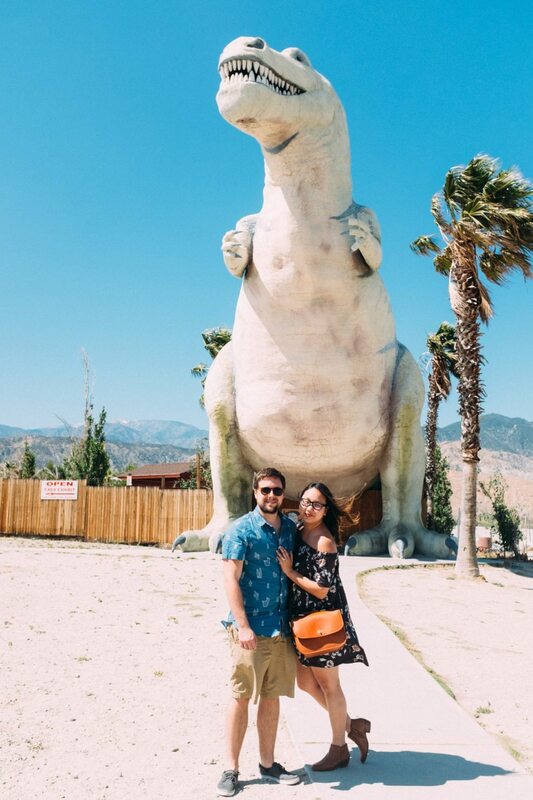 The famous concrete Cabazon Dinosaurs, Mr. Rex and Ms. Dinny, can be found at the Cabazon exit of Interstate 10. 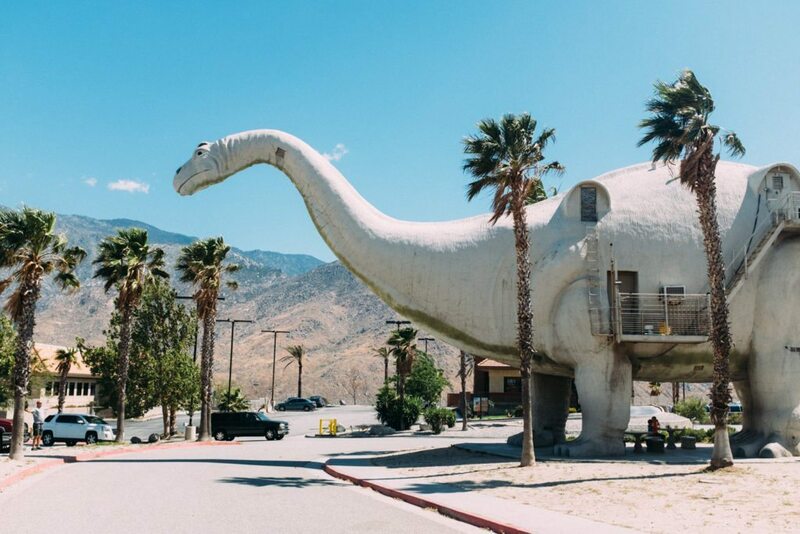 They were built almost 50 years ago and have appeared in several commercials, music videos, and films. 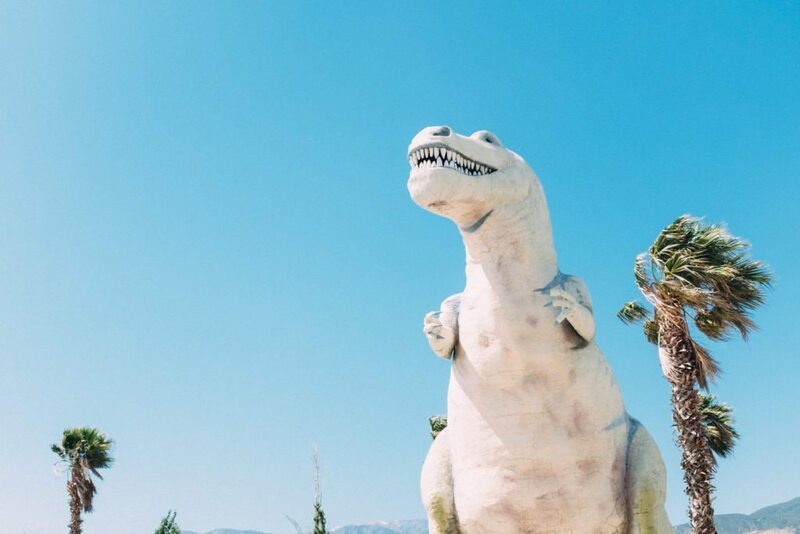 Both Rex and Dinny are viewable to the public, but there are also several robotic dinosaurs to see within Mr. Rex’s Dinosaur Adventure. 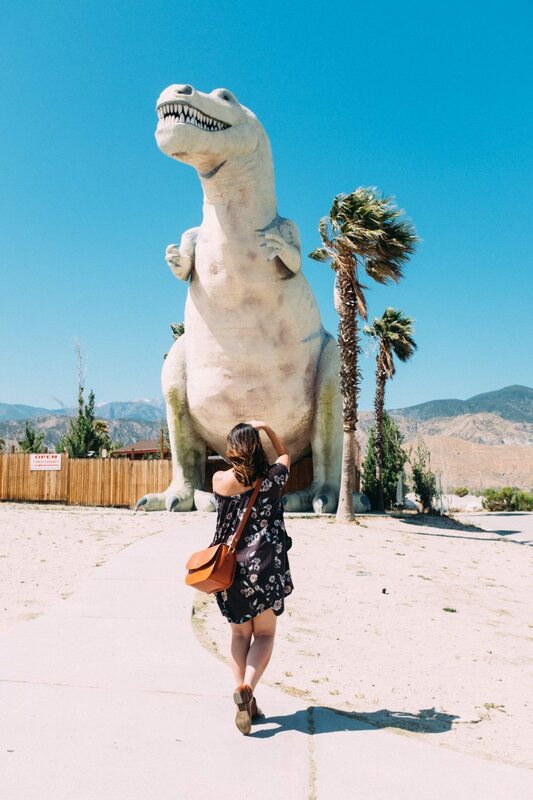 Admission prices for Mr. Rex’s Dinosaur Adventure are $10 for adults, $9 for children, $7 for seniors and military with ID. We were anxious to check into our bungalow, so we just took a couple of pictures outside the museum. 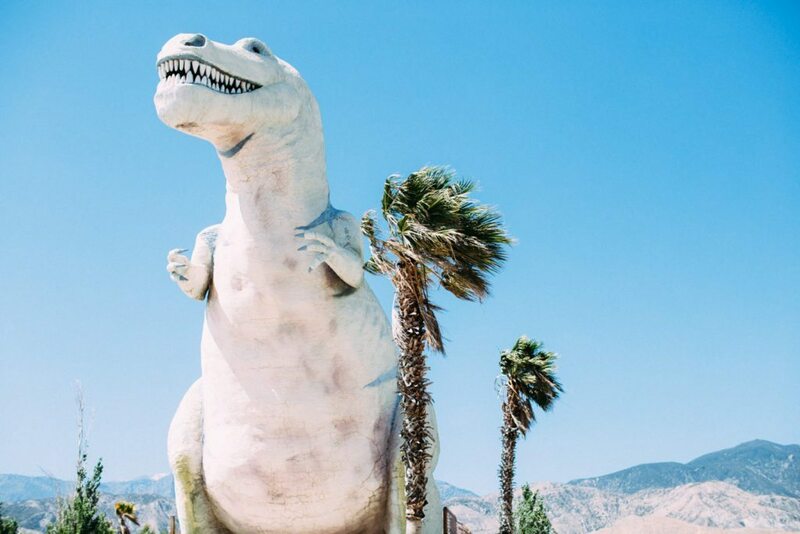 The Cabazon Dinosaurs are located at 50800 Seminole Dr, Cabazon, CA 92230. 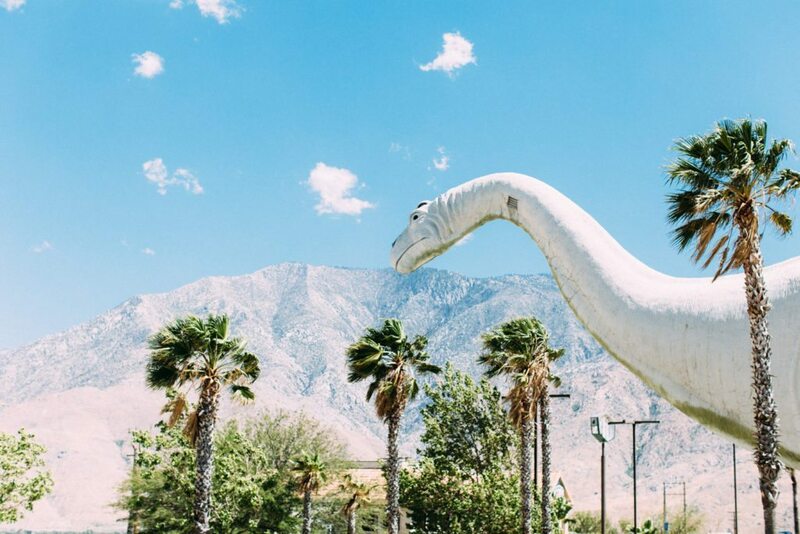 I’ll be posting lots more content from our trip to Palm Springs this weekend! 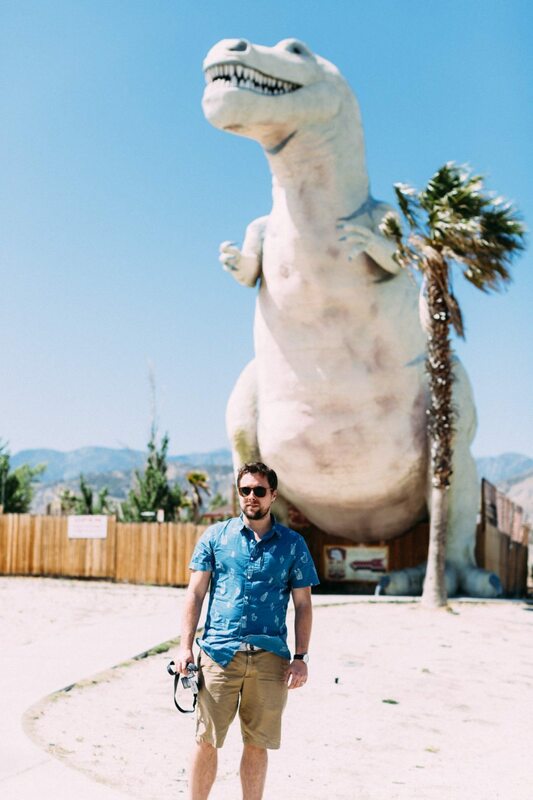 Be sure to subscribe to my newsletter for email notifications whenever a new blog is posted, and follow me on Instagram and Snapchat for more pictures from the trip. How fun! Love following your travels! Thanks, Lee!! Hope your family is having fun on your vacation as well!